Century Cycles Blog: Towpath Trail south of Peninsula has been re-opened! 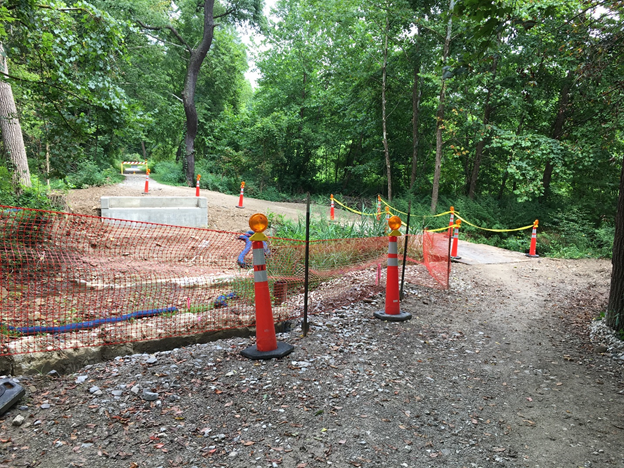 Towpath Trail south of Peninsula has been re-opened! The Cuyahoga Valley National Park has re-opened the Ohio & Erie Canal Towpath Trail south of the village of Peninsula between Deep Lock Quarry and the Hunt Farm Visitor Center (on Bolanz Road, near Szalay's Sweet Corn Farm & Market). A temporary bridge has been constructed near the work area of a new permanent bridge is still under construction. Please walk bicycles across the temporary bridge. Be aware of ongoing temporary closures in this area as work on the new bridge continues.